If you’re wanting to power an entire system from one amplifier, then you’re on the right track! 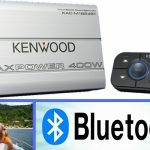 Today’s car audio amps have come a long way and new technology will allow you to do so in less space and with more value than ever before possible. But which are the best 5 channel amplifiers for your money? I want to help you get the best you can afford so I’ve put together a great list of top models along with the details you need to know. Need the best right away? You can click here to jump to my recommended 5 channel amps and reviews. I’ve installed so many amplifiers over the years that I’ve lost count, but I’ve always regarded 5-channel amps as a cool and unique way to build a multi-channel car audio system. The selection list of 5-channel amps used to be very limited, but not anymore – there are some very amazing and compact models to choose from today. 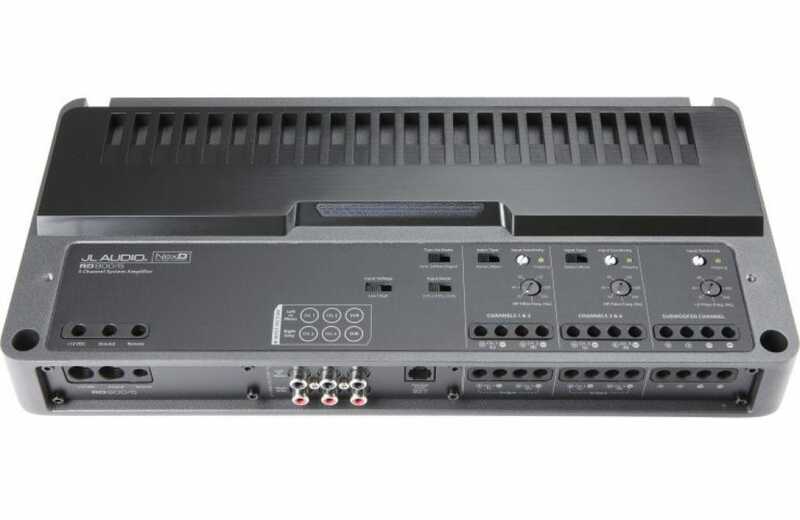 Pick a great 5-channel amp like the fantastic Alpine PDR-V75 to power an entire system. You’ll get very small, sweet-sounding amp that can fit under many car seats! Technology has changed for the better in the car audio world over the last several years and the last 5 or so have been especially great. You’re able to get even more amplifier in an even smaller package than ever before possible. Not only that, but some of the best amps aren’t restricted to mediocre brands like they used to be. You’re now able to get much better quality and value for the same price as amps sold years ago! For the most part, modern car amps use 1 of 2 basic design styles. These design types dictate how they work and produce boosted output signals that drive your speakers. Nowadays, amps are categorized into several classes – meaning they have slightly different design operation internally. For each amp class, or design, there are both pros and cons to consider when buying. Class A/B is a type of amplifier technology that has been around for many decades and is a combination of class A and class B. Classes A and B basically differ in how efficient they are and the sound quality they produce. Class A is currently the best possible sound quality reproduction while being the least efficient (somewhere around 20% efficient, meaning 80% of electrical current is wasted as heat) and with B being the opposite. A/B is a combination of the two and offers a good compromise between sound quality and efficiency (say 65% and below, depending on the design). For many years, car amps were based on these two classes. However, many car audio companies have switched to class D although there are still some products that purely use A or B technology. Class A/B amps are very common and usually used for budget models. They’re good producers of sound and are used in more expensive amps, too. Class D amplifiers work by taking an input audio signal from a stereo head unit and using it to drive a circuit which switches power transistors on incredibly fast. This produces an on/off waveform. The waveform is then “smoothed” to produce an audio signal and drive speakers. Class D amplifiers are far more efficient and generate far less heat. In this type of design an extremely high-speed switching frequency is used to switch the power-delivering transistors on and off rapidly when an audio signal is input and used to produce an amplifier output signal to drive speakers. This means that since the amp is turned off a significant amount of time the power consumed (and the power wasted) is reduced significantly. The production of lighter, smaller, and highly efficient (90% efficiency is possible) amps is possible thanks to this new technology. 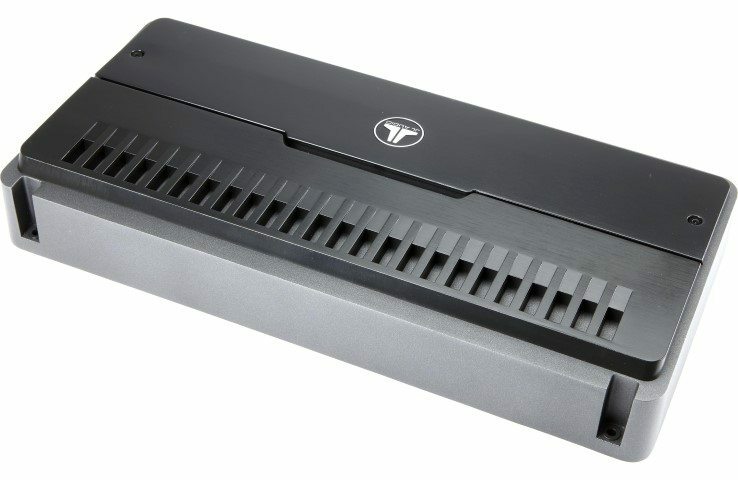 Prices also go down since manufacturers no longer need to use costly aluminum heatsinks for production (except for high-powered models) as Class D amps run much cooler than older amplifiers. However, as with everything else, there’s a drawback: the sound quality may not be on par with A/B amps except for better designed amps made by the best name brands. The signal-to-noise ratio (SNR) is also lower than other types of amps – if the gain is turned up high, you might hear some “hissing” noise as you listen. If you’re highly critical of your amp’s noise level and sound quality, be sure to thoroughly look at the specs and buy an amp with the best design. Until recent years, class D amps were “okay” and decent. However, with the continued innovation and experimentation of many car audio brands, class D technology has excelled and the best models now have great sound quality with lower noise levels. Below you can find a list of several amps that provide excellent sound quality! All these recommendations exceed the average design of typical class D amps – and all of them have advanced engineering designs that enhance sound quality. 5 channel amps are slightly different in that unlike 4-channel amps, the 5th channel may have different configuration options. Also the added 5th channel in some cases cannot be used for full-range sound. It’s often a dedicated subwoofer channel with only a low-pass output. In that case it’s fixed and designed only for that purpose. I’m mentioning this in case that you’re planning to run a 5 speaker system with full range or high-pass output. Note: Some amps are fully class A/B, some are fully class D, and some are a combination of both. Normally, class D is used so the subwoofer channel can offer the most efficient way to drive a subwoofer and give high-power levels. My advice is to plan for the features and crossover settings you’ll need. Usually this means being sure that the adjustable high-pass for the 4 main channels on an amp you’re considering purchasing will fit your system’s needs. I recommend setting the high-pass cutoff to somewhere around 60Hz to block speaker-distorting bass so you can run the main channels with fantastic clarity and very high volume. That’s a really helpful feature that all of these amps provide and that you should definitely use. The subwoofer installation options for the amps listed above are great, but always verify the mono channel’s impedance (ohm rating) before installing it. The products here are listed as 4-ohm or 2-ohm, but you should ALWAYS make sure of the specs before buying or connecting to a subwoofer. If you attempt to drive a subwoofer with a lower impedance rating than the amp can handle, the amp will overheat and will likely shut down right away. Excellent power and sound quality in a tiny 10-3/4" x 2" x 6-1/2 size! 1. Alpine PDR-V75 – Excellent. An industry leader that’s compact, powerful, and sounds great. 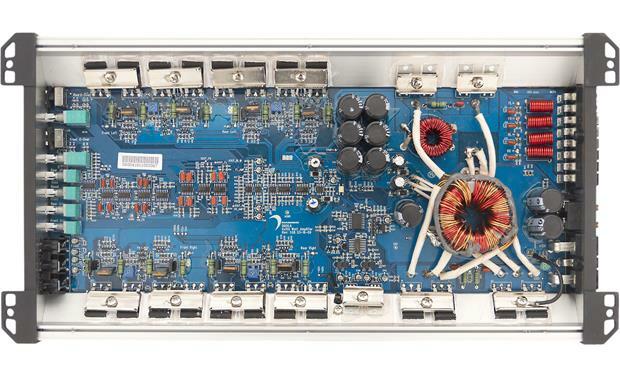 If you’re in search of one of the best 5 channel amps available today this is it. This is one of the best you’ll find anywhere and it actually sells for less than the similar JL Audio RD-900/5. The PDR-V75 gets my nomination for editor’s choice and my top recommendation for you if it’s in your budget (around $400). Alpine has improved upon class D basic design to produce one of the best sounding and most compact multichannel amplifiers anywhere. The sound quality rivals that of more traditional and wasteful class A/B amps. Sound is crisp, dynamic, and unquestionably fantastic. Speaker level inputs are provided when you use a low-cost speaker level adapter cable sold separately. Unlike typical amplifiers, the thermal management system built inside is capable of reducing – and not completely shutting off – output power when overheating conditions are detected. The microprocessor-based feature allows your music to keep pumping but at a reduced volume to keep the heat under control to keep the amp from shutting down like lower-quality amps do. A bass boost and adjustable high/low-pass crossovers are standard as well as the option to connect Alpine’s remote bass level control (sold separately) for extra bass fun. Wire terminals are removable for ease of installation – they can be plugged and unplugged once attached to your speaker wiring. Measuring only 10-3/4″W x 2″H x 6-1/2″D, it’s one of the smallest 5 channel amps sold today. The amp features an attractive protective cover you can optionally install too. A subsonic filter (8-40 Hz, 24 dB/octave) on sub channel keeps out unwanted inaudible bass frequencies. It’s one of the best you can buy so I encourage you to start enjoying installing it right away. Head over to check out the fantastic reviews and many happy buyers at Amazon. 2. JL Audio RD-900/5 – Simply put, one of the best available today. 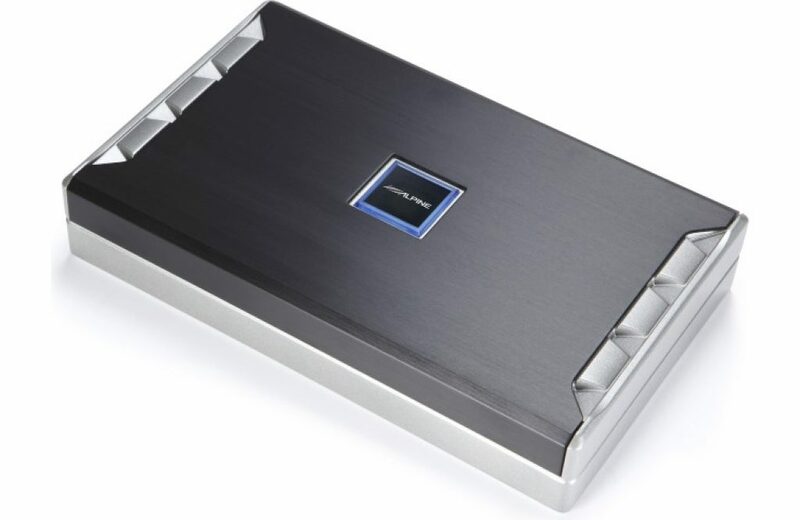 JL Audio has taken class D amplifier efficiency to a new level and has produced one of the best sounding and lowest noise amplifiers on the market. This is high-end, truly excellent performance with the legendary JL Audio reputation for reliability and sonic quality. In fact, the RD900/5 is capable of producing power exceeding its conservatively rated specs. NextD switching technology uses a faster switching frequency to allow the amp to produce power far more quickly and dynamically for better performance and acoustical response. The signal to noise ratio (CEA-2006 compliant measured spec) of > 84dB is conservatively rated as you’ll hear almost nothing but dead silence between music tracks. This is a wonderful sounding amp! A really cool feature is the built-in LED clipping lights which help you set up gain levels during installation. It’s a simple but great feature as you don’t have to guess when the amp will start clipping when your input signal reaches its maximum level. Blue LED accent lighting on the top glows when the amp is powered on. An optional bass level control is a cool way to boost the bass while driving and jamming, so you’ll get the benefit of cranking the bass without having to fiddle with the amp settings. Top-mounted controls make setup and adjustments easier after installation. High/low pass crossovers are adjustable to 500Hz and all channels can be from 2 to 6 RCA signal inputs. Bear in mind that the amp isn’t compatible with speaker level inputs. If those are important to you, you’ll need to buy a separate adapter. The wire connection terminals are great and the amp can accept 4 gauge wire. The amp measures only 14-11/16″W x 2-3/16″H x 7″D and features a 2 year warranty. If you’re looking for the absolute best, the JL Audio RD-900/5 should fit the bill exactly! Ready for the best? Don’t hesitate to find out why it's a top-rated amp over at Amazon. 3. 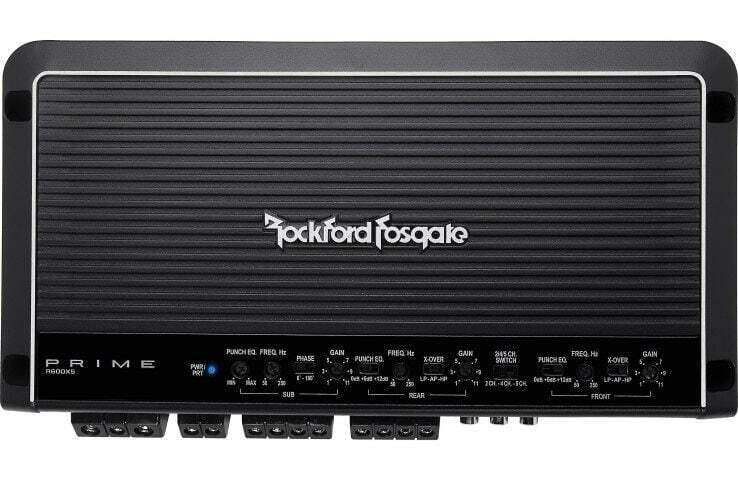 Rockford Fosgate R600X5 – A great compromise between cost and performance for under $300. he controls are easy to use as well and add flexibility to your installation. Audio is very clear and highs are crisp with great performance. The amp even includes a verification sheet with it in the box! Note: The specs above my seem limited, however they’re conservatively by Rockford and in practice can actually exceed that by several watts. 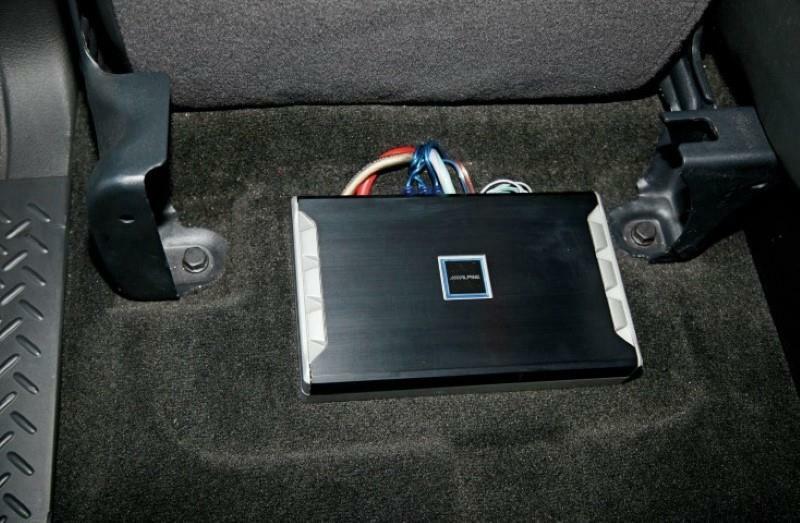 All ratings are CEA-2006 compliant so be confident in Rockford Fosgate’s advertised specs. A signal to noise ratio of >80dB is a result of Rockford’s dedication to sound quality by using their proprietary design for reduced noise output. Full adjustable high/low pass crossovers are available as well as a Punch EQ adjustable bass boost. Using the optional (separate) Punch Level Control you can easily turn up the boom while driving. A 1 year warranty is provided. At only 1.98″ x 6.77″ x 13.19″, it’s a very small amp and can fit into many small installation spaces in your vehicle’s interior. It’s a great looking and well made amp that won’t disappoint. A great model for many installations. Take a look at the many great buyer reviews and current price over at Amazon. 4. 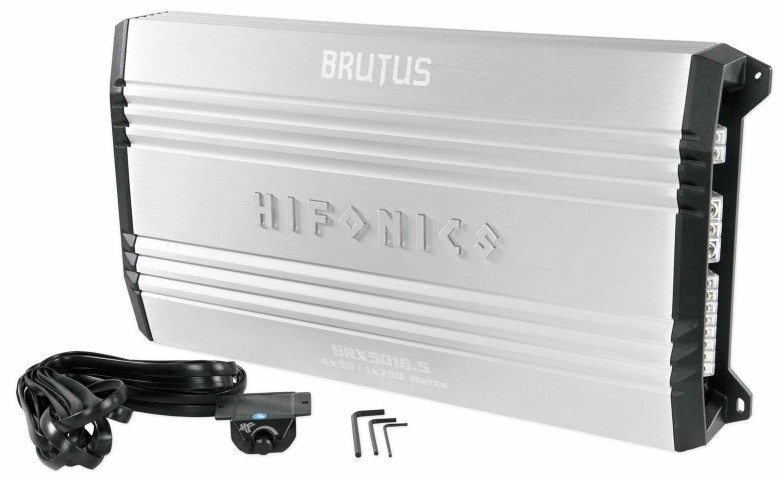 Hifonics BRX5016.5 – A well-performing model for less. If you’re working with a tight budget but still want to build your custom audio system, you’re in luck! The Brutus 5-channel amp has power to spare. It’s a great value, but bear in mind that it’s not CEA-2006 compliant so you’ll have to trust the manufacturer’s specs. The BRX5016.5 definitely has some advantages besides just its great price. Sound quality is good while keeping noise low via the class A/B sections used for the 4 main channels. For awesome subwoofer power the power-efficient class D amp section provides an amazing 750 RMS watts of power! The signal-to-noise ratio (SNR) for the main channels is a nice 90dB and provides good, clear sound. Full high/low pass crossovers are available as well as a 0-18dB bass o at 45Hz. The amp is somewhat large and measures 9.80″W x 19.60″L x 2.40″H so you’ll need more installation space than the other models listed above. The wiring terminals are some of the best I’ve seen and they glow blue with the cool backlighting design. 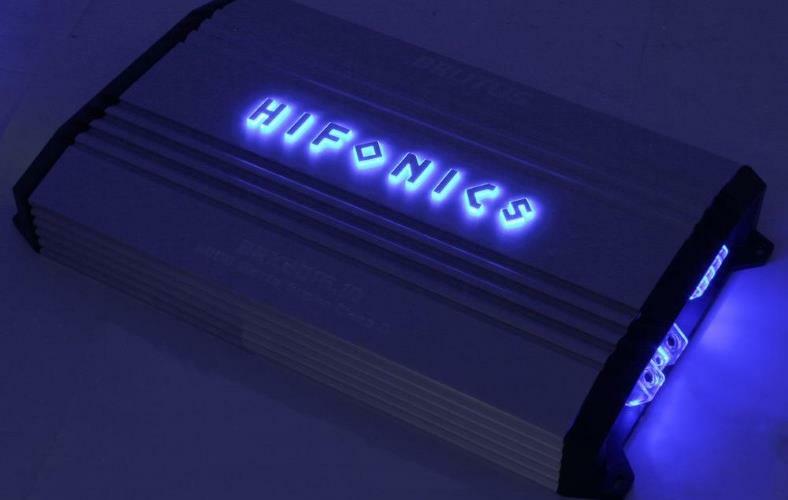 The Hifonics logo also has a beautiful blue glow you’ll love to show off as well! Speaker level inputs are not included but a subsonic filter is. You can also switch between 2, 4, and 5-channel input mode if you don’t have enough RCA connections. The BRX5016.5 has a cool glow thanks to the illuminated accents on the logo and wiring terminals. Great for custom installations where you want great looks! A bass remote is included as well. 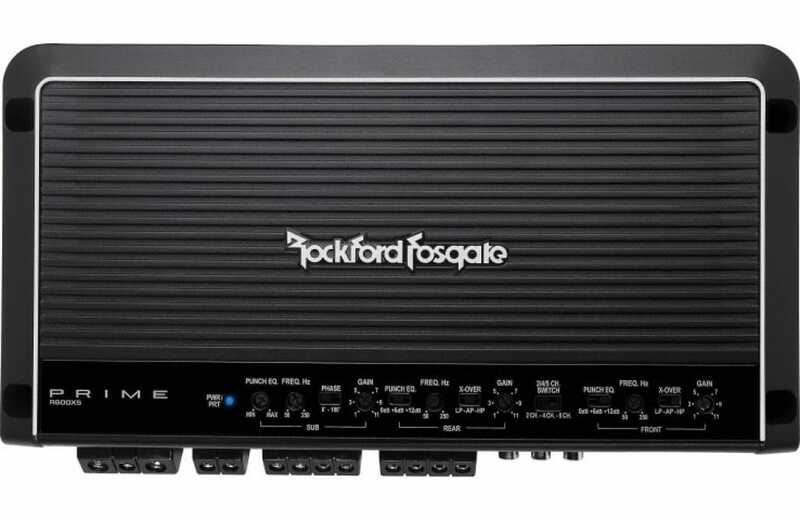 While the Rockford Fosgate R600X5 is a better (albeit more expensive) choice, the BRX5016.5 is a reliable and powerful amp if you you’re working within a budget. It’s a good amp with many happy buyers. Be sure to find out why it's so popular among buyers at Amazon. Never installed an amp before? check out this illustrated guide on how to install a car amp and subwoofer. Be sure to also read this extensive guide about how to wire speakers. I would like to hv some of you expert professional advise please. I Hv bought a pair of MB Quart ZC1-216 6.5″ 240W RMS Z-Line Series Component Speakers System and also for rear of my car MB Quart X-Line 80 Watt 6.5 Inch Coaxial Car Audio Speakers Pair | XK1-116. 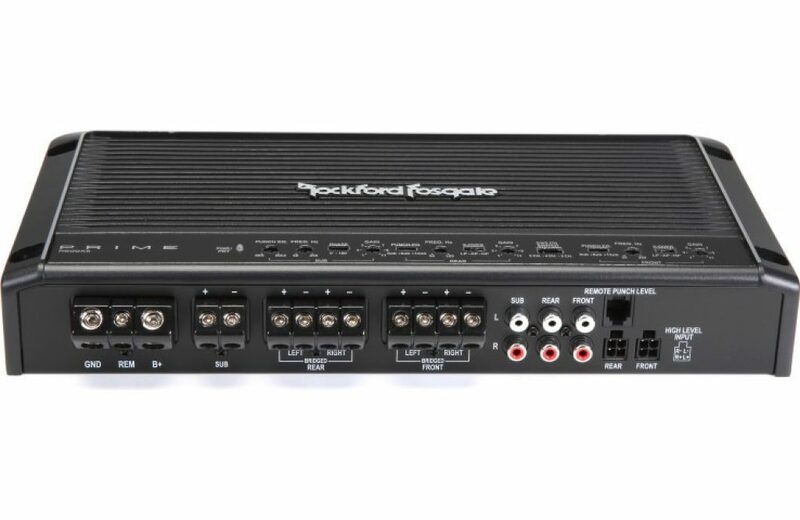 I am considering the 1) JL Audio JX400/4D 4-channel car amplifier — 70 watts RMS x 4 OR 2) MRV-F300 – Alpine 4-Channel 300W RMS V Power Series Amplifier OR 3) Rockford Fosgate R400-4D 400 Watt Full-Range Class-D 4-Channel Amplifie 4) Soundstream TN4.900D Tarantula Nano 900 Watt Class D 4-Channel Car Amplifier Ampr. Can you please share your expert advise and opinion which will better suit my speakers optimally? I listen mainly to classical and oldies and jazz music. First, I would avoid the Soundstream TN4.900D Tarantula. That amplifier (and others like it) are lower-end and it appears to be another “rebadged” amp sold under many different brand names with only slight cosmetic differences. Also, the specs for it are misleading (I can promise you the base SNR is not 102dB). Those amps tend to have higher noise and aren’t well designed like the JL Audio & Alpine. I would recommend the MRV-F300 as it’s now a better value overall (quality + performance + price + power) than the R400-4D and can provide more power. If you can afford it, the JL Audio JX400/4D would be even better. I would consider the Rockford Fosgate a good compromise in between the two. For the amp wiring kit, here’s a great choice that’s well-priced: Stinger SSK8 8GA complete wiring kit. You can also find more info + some other good ones here: https://soundcertified.com/good-amp-wiring-kit-guide. Be very careful when buying an amp wiring kit because many are sold with wire that’s not as advertised. Nice choice on the speakers! Titanium tweeters (especially ceramic coated) are excellent. I hope this helps. Have good day! Thanks for your advise. I hv narrowed down to ALPINE MRV F300 and JL JX! Is the Stinger SSK8 8GA set meant for 1pair (2) speakers. Should I buy two sets given I hv four new speakers for my car.? Or is there other options to buy just but one set and the additions necessary separately only for the two rear speakers only.? Thanks for your advise in anticipation! To answer your question, yes, you can buy just the one SSK8 amp kit and add the additional items separately. One good reason for doing this is that most amp kits are 2 channel kits anyway, so your options for buying an amp kit that already has 4 channel RCAs are limited. It’s easier this way, usually. That kit has 20 feet length speaker wire, so you need to estimate how much (total) speaker wire you will need for your system. For example, if you’re running wire to each speaker (longer distance), you’ll need an additional roll of speaker wire (say 16GA or 18GA of good quality wire). If the 20 ft included won’t be long enough, I would also buy a 50 ft roll of additional wire. I hope this helps! If not, feel free to let me know. Glad to hear that you’re getting a good amp! How does the Rockford Fosgate R600X5 compare to the Pioneer GM-D9605? I am looking to install JBL GX series speakers with a 10in shallow pioneer sub in my Silverado. The Pioneer has a higher wattage rating and is a little bit cheaper. I’m looking for clean full rich sound. What is your thought? Hi Carlos. Thanks for the questions, as they’re good ones. My first question would be: what kind of radio are you using? There’s a good reason I ask. 1. The Rockford RX600X5 uses A/B class audio amp technology for the 4 main channels vs the Pioneer GM-D9605’s class D. If you’re a sound quality “purist” and care more about the specs, you’d like the Rockford more. However, if you’re driving your amp with a good quality and strong signal (like from a good head unit’s RCA outputs), it won’t matter much in the real world. Driving the amp with a strong, clear signal will mean you’ll be able to keep the gain lower and keep your amp’s noise level down. At normal (and high) volume it’s pretty much impossible to hear the difference anyway. I wouldn’t hesitate to recommend it for most people. The price, power, features, and power ratings you get are just too good to pass up for the money. As you can see in this new post about the best affordable 5 channel amps, I’ve awarded the GM-D9605 my Editor’s Choice recommendation. I’ll be adding it to this post as well.